In order to help you further, we will assist you in finding a solution for your device. Please fill in the model number to start your request. Each product has a unique model number. A model number usually starts with letters followed by a series of numbers, e.g. GC6440, 37PFL7403D/10, or SA1300/02. 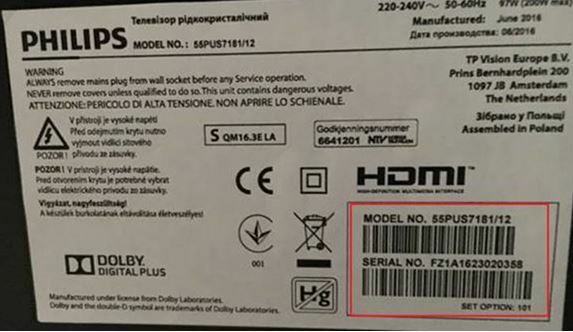 Each Philips TV has a model number. A model number usually starts with 2 digits number which represent the screen size, followed by 3 digits alphabet and a series of number, e.g. 32PHS5301/12, 42PFT4001/60.